When it first launched last summer, Microsoft Translator had some potential but a lot of catch-up to do with Google's own Translate. No offline mode, no natural conversation mode, no Android Wear app, and many other missing features made me refrain from recommending it when I compared it against Translate. But Microsoft has been updating its app, bridging the gap with each new version, adding all of these features and more like Klingon support and a kickass Android Wear integration. The only major capability that was still missing from Translator's arsenal was image translation and that's finally here. Version 2.16.82, which is already live in the Play Store (and on APK Mirror) can load images, automatically detect languages, and overlay the translation into the language of your choice on top of each element. But that's not the only feature that Translator is flatteringly taking from Google. 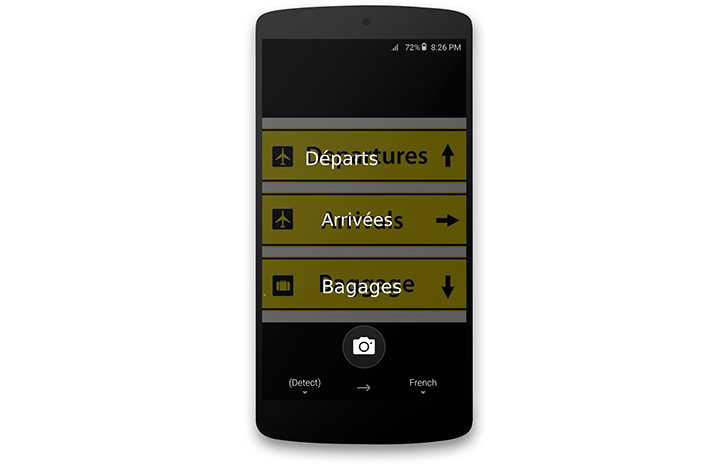 Back in September, Translate 4.3 introduced system-wide translation using Android 6.0's new floating text toolbar APIs integration. Microsoft is now adding the same feature: you only need to select text in any application (on Marshmallow and above) and you'll see Translator as an option in the contextual pop-up, next to cut, copy, paste, and the usual text actions. • Download language packages to access translation services without Internet connectivity in 40+ languages including Arabic, Chinese, Spanish, Portuguese, Japanese, and Korean. With this out of the way, the only real difference between Google and Microsoft's translation apps on Android is language support and how well you feel it works for your specific language. Some users say Google's service is better for their language, others find Microsoft's more natural. At least the latter can now use Translator without missing some interesting features from Translate.